Welcome to Elko, Nevada, a community rich in history and full of character. Elko is home to award winning museums and galleries such as the Northeastern Nevada Museum, The Sherman Station Ranch House, and The Western Folklife Center. Elko is also proud to offer many local casinos with live entertainment and fine dining. Property is located next to Elko City Park that includes walking trails, tennis courts, hand ball courts and picnic areas. 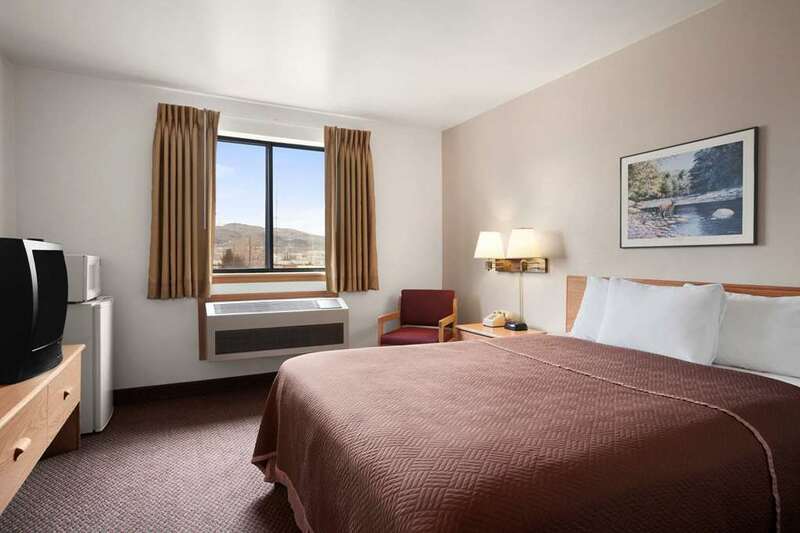 The Travelodge Elko offers guests comfort in one of their 61 rooms complete with complimentary Bear Bites Breakfast, wireless high speed internet, cable TV w/HBO, ESPN, in-room coffee makers, and hair dryers. We are a pet-friendly motel. Pets welcome with a 10.00 per pet per night limit 2. Please mention your pet when making your reservation.